We provide programs and opportunities to attract, prepare, and increase the number of racially and ethnically underrepresented students who successfully matriculate at the University. Newly admitted students to the University of Washington in Seattle, along with their parents and others within the student’s academic network, are invited to discover all the UW has to offer through the 2019 Purple & Gold Experience. NASD was created to encourage Native students to pursue higher education as well as give them the opportunity to experience the University of Washington. 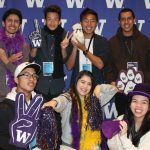 Newly admitted students to the University of Washington in Seattle, along with their parents and others within the student’s academic network, are invited to discover all the UW has to offer through the 2019 Purple & Gold Experience. Participants will learn about programs that promote success both in and out of the classroom, interact with current UW students, and have opportunities to find out about academic majors, support services, and social/cultural happenings on campus. 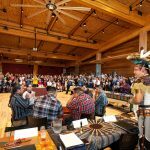 Registration now open! NASD was created to encourage Native students to pursue higher education as well as give them the opportunity to experience the University of Washington. Attendees will meet current UW staff & faculty as well as future classmates, learn about campus programs, and discover the diversity and unity that exist in the UW community. Registration now open!